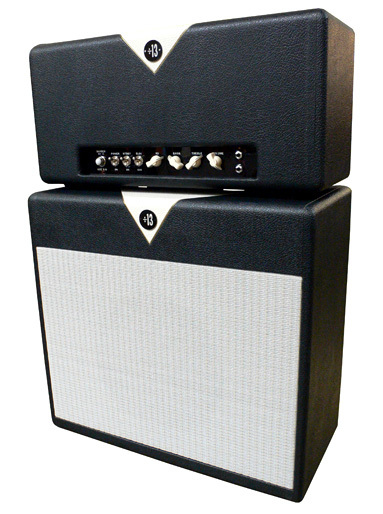 The CCC 9/15 Combines two of our most popular amplifiers! By taking the front end (preamp) "Flexibility" of the CJ 11 with it's more traditional tone arrangement of volume (with pull gain/mid boost), treble, bass, and master volume and combining it with the JRT 9/15's "Switchable", by toggle "Dual" back end (power amp) of either (2) 6V6GT's at 9 watts or (2) EL84's at 15 watts you get the biggest sound in a low wattage amplifier heard to date, and NOW with the increased "Flexibility" some customers need. Simply stunning tonal variety for all low wattage applications!